Schiller noted the challenges Apple’s engineers faced by making the iPhone’s iSight camera thinner to fit inside its slimmer case. Making something thinner is the worst thing you can do. 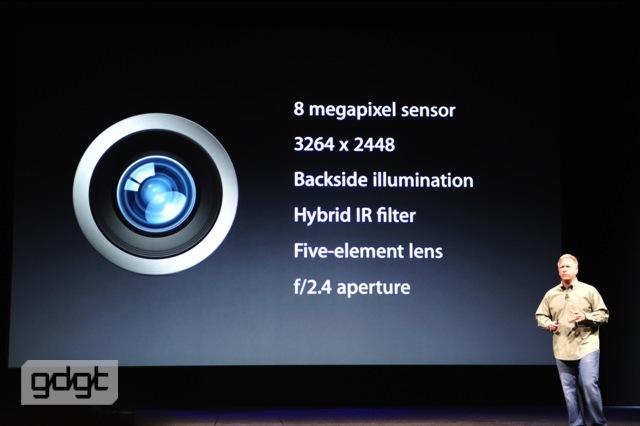 The iSight module on the back remains at eight megapixels (3,264-by-2,448 pixels), but is now a quarter thinner. 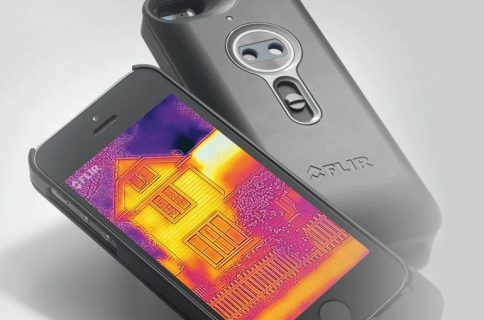 It now uses sapphire crystal (“sapphire is renowned for being hard and crystal clear”) and sports dynamic low-light mode for sharper photos in the dark, as well as precision lens alignment. The module is backside illuminated and also has a hybrid IR filter. 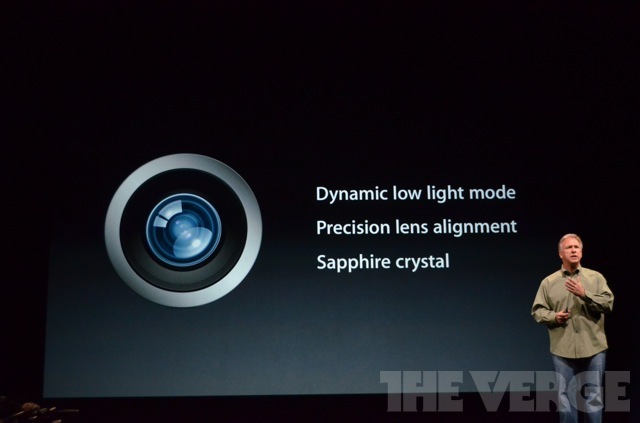 It still has a fifth lens like on the iPhone 4S and f/2.4 aperture. Based on the next-generation ISP on the A6 chip, the iSight module takes advantage of smart filters and spatial noise reduction technology to make your images sharper. 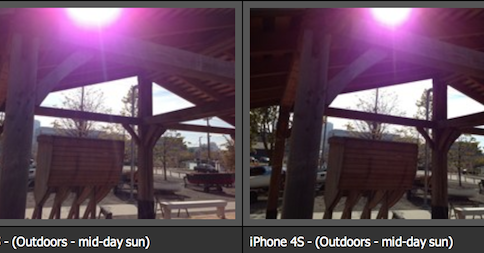 Thanks to the reworked camera internals and the speedy A6 chip, the iPhone 5 is “40 percent faster on photo capture”. Last, but not the least, the iPhone 5 has panorama mode for some interesting snaps where you pan your phone around and the software stitches the images together to create “seamless transitions between these photos”. This panorama shot taken on an iPhone 5 is 28 megapixels. As for video recording, you still get full HD 1080p capability with “improved video stabilization”. 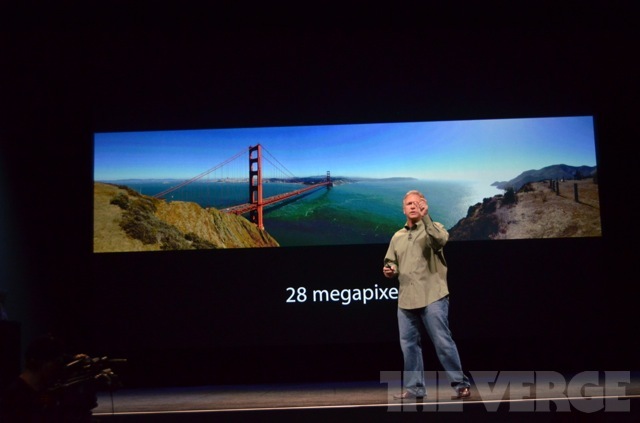 As a bonus, the iSight camera now lets you take pictures while recording. Besides being 25 percent thinner, the iSight camera on the back of the iPhone 5 improves upon the iPhone 4S camera with dynamic low light mode, precision lens alignment and sapphire crystal. Were you expecting more, perhaps?